Front row left to right: Clarence Bahlmer, Dolores Worrell, Jim O'Neill, Francis Bahlmer, Bernard Donohoe, Vince O'Neill. 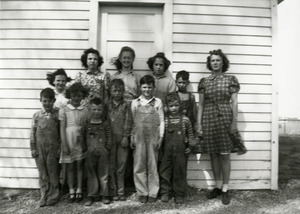 Back row left to right: Cecelia O'Neill, Ellen O'Neill, Norma Mathes, Phyllis Meade, Micky Meade, teacher Dorothy Worrell. 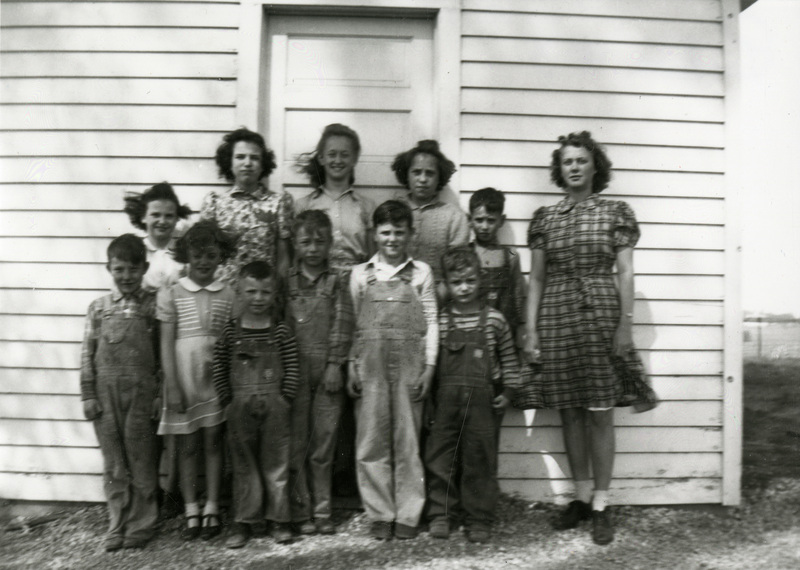 “Graham #1 School, 1943,” Iowa City Public Library, accessed April 19, 2019, http://history.icpl.org/items/show/1579.